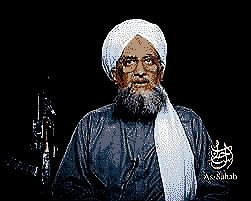 Stratfor Research relays a Reuters report that Ayman al-Zawahiri -- reportedly Al Qaeda's #2 -- slammed "pro-Western Arab leaders". His charge is astounding: that they are harming the residents of Gaza more than Israel. Further, he pilloried Egypt's leadership for its blockade of Gaza, as it prevents the free flow of people and goods. Just wondering: does this mean -- officially -- that Al Qaeda is more tolerant of Israel than Barack Obama? I think it means that AQ is sending a message to it's followers in Egypt to be ready to seize power when Mubarak dies from his terminal illness.